Nonverbal cues: Many times when prepping for interviews we focus more on what we are planning to say versus planning to do. I know I do not spend time thinking of how I’m going to sit or where I’m going to look during an interview. But, interviewers are watching for those kinds of things. The top most common nonverbal mistakes include making little eye contact, bad posture (so sit up straight! ), fidgeting, using too many hand gestures, and lack of a smile. Minding your P’s and Q’s: The use of proper grammar is not only important while writing, but also while speaking. Your spoken grammar is one the easiest and quickest indicators for an employer to decide your worth. Be aware of how you’re pronouncing words and that you’re using complete sentences. Do your Research: One major turn off for an employer is when a candidate knows little to nothing about the company. One of the most common questions during an interview is “what do you know about our company?” Having no idea shows the employer that you don’t care and puts your chances of landing the job or internship at risk. Take some time before the interview to research the company. Look into their previous campaigns, their history, the products or services they offer, philanthropic projects and their awards and achievements. Thinking you know something versus actually knowing makes a huge difference. Ask questions: Don’t be afraid to ask your interviewer questions. An interview should work as a two-way street. 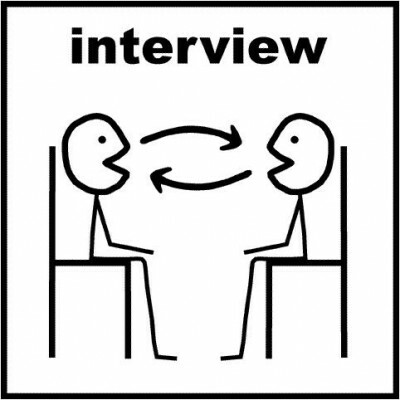 The employer uses the interview as a way of determining if you’re the ideal fit for the job. You should use it as a means of assessing how well you would fit in, if you could do your best work within the environment, and how well your goals align with those of your potential employer. Be yourself: As cliché as it sounds, you won’t do yourself justice by trying to be someone you’re not. It is best to be honest about who you are because it creates a better rapport between you and the employer. Practice, practice, practice: Practice makes perfect. It’s always a good idea to practice some typical interview questions before your actual interview. The more familiar you are with the questions, the more relaxed you will be while responding during your interview. However, never go into your interview with memorized responses. You don’t want to sound like a rehearsed robot. An interview can be the scariest part of the internship process. But it’s only as scary as you make it. Staying calm, cool, and collected is your best bet. Remember, this is the time when it’s okay to brag about yourself; this is your time to shine, don’t let it slip by. Previous Post MARC USA visits Scripps PRSSA, Feb. 10 RECAPPED!